Request Prescription Renewals From Home! Matossian Eye Associates now offers you the ability to request prescription renewals from the comfort of your home. You can visit our patient portal at www.matossianeye.com to set up your secure account, free of charge. • Select "Request Prescription Renewal" and create a secure account. Over the years, Dr. Matossian has developed many videos about conditions of the eye, clinical studies, and helpful products, technologies, and techniques, available on our YouTube Channel. To view our channel, please click here. Cynthia Matossian, MD, FACS and Sebastian Lesniak, MD of Matossian Eye Associates attended the American Academy of Ophthalmology (AAO) Meeting in Las Vegas, Nevada November 12-17. During the trip, Dr. Matossian received this custom ophthalmology-themed piece of latte art in her espresso! Chronic dry eye affects nearly 40 million people in the United States alone. The Bruder® Eye Mask with its new design helps patients with burning, sandy, gritty, blurry, and excessively tearing eyes. Briefly microwaved to deliver moist heat to the eyes, this washable source of dry eye relief can be used over and over! At the recent Ocular Surgery News annual meeting in New York, Richard Lindstrom, MD hosted a roundtable discussion with colleagues Kenneth A. Beckman, MD, Cynthia Matossian, MD, FACS, and Christopher E. Starr, MD, on the clinical impact of tear osmolarity. 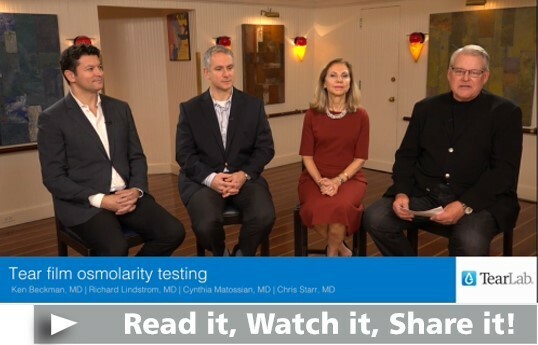 Please click the image below to watch the experts share their personal clinical application of tear osmolarity in their practices. Ilya Rozenbaum, MD received certification to perform the Kahook Dual Blade procedure, a micro-surgical technique which employs a state-of-the-art blade to create tiny incisions. This procedure is used to reduce intraocular pressure in glaucoma and can be used during cataract surgery. Cynthia Matossian, MD, FACS continues her video blog series, "Bridging the Reimbursement Gap." In the twelfth video blog, Dr. Matossian gives pearls for implementing the Tear Osmolarity diagnostic test (TearLab) for ocular surface disease into the ophthalmic practice. In the thirteenth installment, she discusses InflammaDry (RPS), an in-office MMP-9 test that identifies tear film instability. With the holiday toy-shopping frenzy in full swing, Matossian Eye Associates urges parents to avoid buying toys that can cause serious eye injuries and even blindness in children. Avoid purchasing toys with sharp, protruding or projectile parts such as airsoft guns, BB guns and paintball guns. Provide children with the appropriate protective eyewear. Check labels for age recommendations. Provide appropriate adult supervision while such toys are being used. 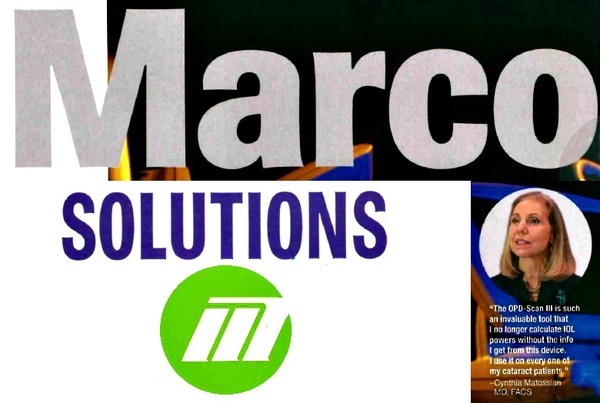 Cynthia Matossian, MD, FACS was featured in a Marco Solutions publication this December. In it, she discusses how critical OPD-III technology is to personalizing intraocular lenses to each patient, to improve surgical outcomes. 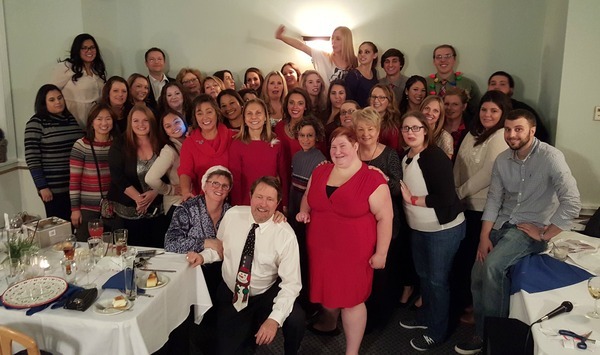 Matossian Eye Associates celebrates the holiday season each December with all of our employees. Below are some photos of the doctors and staff enjoying games, fellowship, and a delicious meal as we toasted another wonderful year! Marketing Coordinator Dan Rue offered vision screenings and information at The Doylestown Hospital Employee Health Fair. 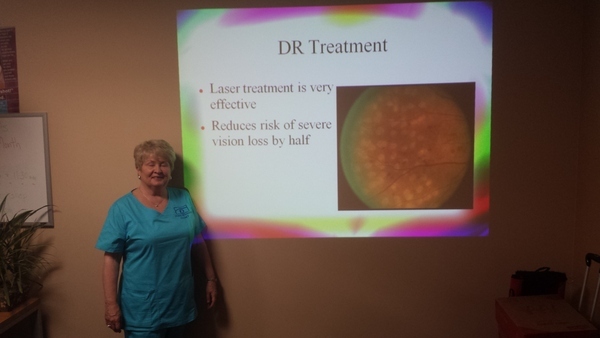 Joan Micucci, COMT gave a lecture to the Doylestown Health Connections on diabetes and the eye. 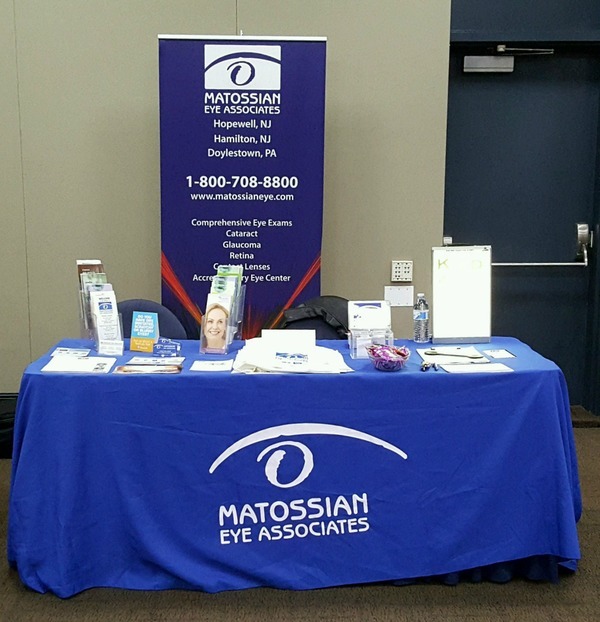 Marketing Coordinator Dan Rue (not pictured) offered vision screenings and information at the New Jersey Hospital Association Employee Health Day. ​MEA's Kim Fox passed all the necessary exams and is now a Certified Patient Service Specialist. Congratulations to Kim! Cynthia Matossian, MD, FACS presented a continuing education webinar series entitled "Surfacing on the Web." This series contained two parts, "Dry Eye in Special Populations" and "Perioperative Practices: Managing the Ocular Surface" and was broadcast to a national audience of ophthalmologists and ophthalmic technicians in early December. Cynthia Matossian, MD, FACS and Jane Shuman, MSM, COT presented on "Preparing for Medical Scribe Certification in Ophthalmology" for Progressive Tech Training to a group of ophthalmologists and ophthalmic technicians in November. Cynthia Matossian, MD, FACS lead four national live webinars entitled "The Chronic and Progressive Nature of Dry Eye Disease (DED): It’s Time to Think Differently About DED" to groups of ophthalmologists and ophthalmic technicians. 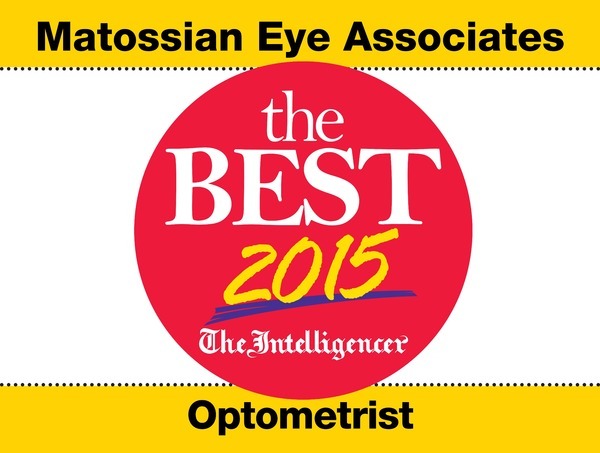 ​​Cynthia Matossian, MD, FACS contributed to the article, "Top Picks of the Year," published in the November/December 2015 issue of Cataract and Refractive Surgery Today. Please click here to read the article. "The Importance of NSAIDS After Cataract Surgery: Considerations on penetration, efficacy, pharmacy fills, and callbacks," published in the December 2015 issue of Ocular Surgery News, US Edition. Please click here to read the article. Cynthia Matossian, MD, FACS contributed to the article "Best Apps of 2015," published in the November/December 2015 issue of the Cataract and Refractive Surgery Today. Please click here to read the article. 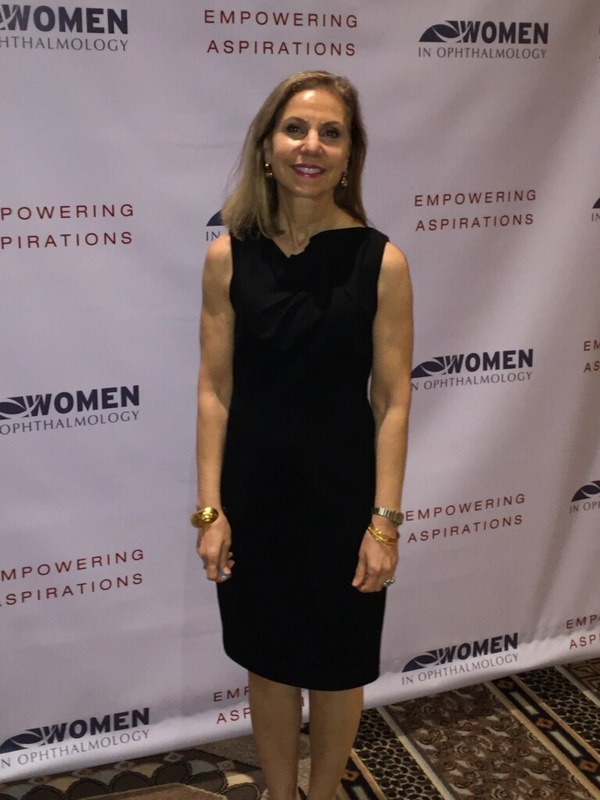 Cynthia Matossian, MD, FACS was quoted for the article "IRIS, EARLY, DED - at the AAO," published in December 2015 issue of Ophthalmology Management. Please click here to read the article. Cynthia Matossian, MD, FACS wrote the article, "Patient Compliance: Taking Ownership," published in the December 2015 issue of Ophthalmology Management. Please click here to read the article. Cynthia Matossian, MD, FACS contributed to the article, "Tracking Omidria Since Its Arrival...," published in the December 2015 issue of Ophthalmology Management. Please click here to read the article. Cynthia Matossian, MD, FACS wrote the article, "Using OVDs for Soft-Shell Technique and Lens Insertion," posted on EyeTube on December 2015. Please click here to read the article and click here to watch the video.